LG Optimus G Pro (Full Review) was released few months back in India and now LG is reportedly working on a low cost Dual SIM variant, LG G Pro Lite Dual. 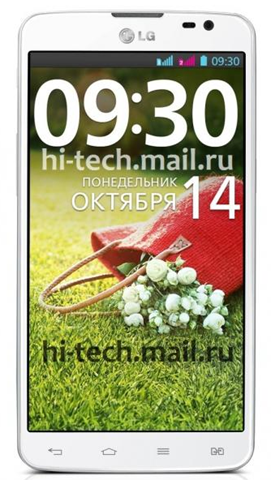 The images and specifications of this device have been leaked by Hi-tech.mail.ru and the site claims that this version will sell much cheaper compared to Optimus G pro. According to rumored specifications this phone will sport a 5.5 Inch display similar to LG Optimus G pro however the screen resolution will be trimmed down to qHD 540 x 960 pixels. But the processor has been significantly stepped down. This device will feature only a 1 GHz Dual core processor. Optimus G Pro comes with Snapdragon 600 quad core processor and hence there is no comparison in this regards. The RAM has been stepped down to 1 GB from 2 GB and the storage capacity will be 8 GB. This phone will also come with microSD card support. The camera will have an 8 MP BSI sensor for better low light performance and the battery capacity remains same at 3140 mAh which is pretty good. This phone will also come with a Stylus and will be 9.5 mm thick. 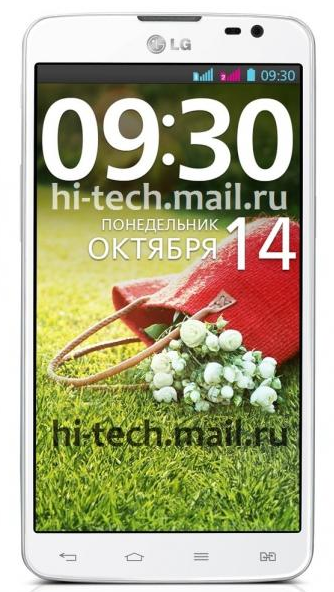 Apart from the dual core processor, the device will make up for a good Mid-range smartphone. With domestic manufacturers like Smart NaMo Saffron 1 and Intex Aqua i7 offering better spec phones with turbo quad core processors, this phone should bring something new to the table to leave a lasting impact. There is no news of pricing and availability in India as of now but we will update you with any new information that we come across.